BUTLER, JOHN, businessman and officeholder; probably b. in England; m. 29 Oct. 1753 Rachel Wall, a widow, in Halifax, Nova Scotia; d. 25 Oct. 1791 at Martock, Somersetshire, England. John Butler came to Halifax via Long Island, New York. He received property in the first allotment of land in Halifax in 1749, acquired further large holdings in what later became Hants County, and some time before 1754 erected the Great Pontack Inn, the centre of social activities in Halifax. By 1758 he was referred to as a distiller, probably because of his connection with Joshua Mauger. 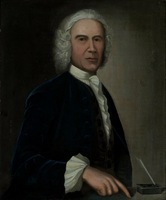 Butler acted as business agent for the English firm of Watson and Rashleigh [see Sir Brook Watson*], and when Mauger left Nova Scotia in 1760, Butler became his attorney-agent there. With Michael Francklin and Isaac Deschamps* he protected Mauger’s economic and political interests in the province. In 1762 Butler was elected to the House of Assembly as one of the members for Halifax County. Ten years later he was appointed to the Council on the recommendation of Francklin, then lieutenant governor, and became agent victualler and paymaster of the troops in Nova Scotia and Newfoundland on the death of Benjamin Gerrish. He was made lieutenant-colonel in the Halifax militia on 1 Jan. 1774, appointed a justice of the Inferior Court of Common Pleas three months later, and commissioned a full colonel in the militia on 1 Nov. 1776. During the American revolution he joined the Halifax merchants in outfitting an armed vessel, the Revenge. 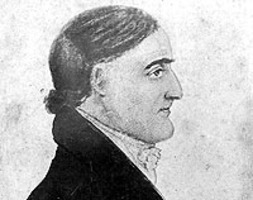 Butler’s chief concern, however, was the advancement of Mauger’s interests in Nova Scotia. In 1761 he successfully petitioned the assembly against two bills which would have lowered the tariff protecting Mauger’s distilleries. By 1767 Butler and John Fillis controlled five-sixths of the provincial rum trade. In that year the Halifax-London mercantile alliance became alarmed when the governor, Lord William Campbell, supported a bill to lower the protective tariff. Although Butler appeared before the Council to oppose the bill, the measure passed. Butler and Fillis promptly petitioned the Board of Trade against the act, however, and the London merchants Butler represented were able to use their control of the provincial debt to persuade the board to restore the old duty. Political opponents, temporarily insolvent friends, and interfering governors received equal treatment from Butler: he pursued them relentlessly. John Day, a political rival with a reputation for honesty, had his credit badly shaken by an anonymous letter which Butler forwarded to Watson and Rashleigh; Malachy Salter would have lost his vessel the Rising Sun to Butler, had the latter been able to persuade Simeon Perkins* to seize the ship for debts owed; and Michael Francklin, heavily in debt to Mauger, was repeatedly embarrassed by Butler’s contemptuous treatment. Butler’s animus toward Governor Campbell took the form of incessant bullying, and in 1773 Butler and Mauger mounted a campaign to seek Campbell’s removal. Butler’s fiercest confrontation was with Campbell’s successor, Francis Legge. Legge’s desire to bring financial order to the colony led to a complete review of the public accounts in 1774–75. 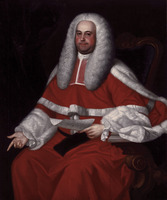 For the first year Legge, with the assistance of the assembly, was successful and even managed to sue individuals for moneys owed the treasury; however, when Jonathan Binney* went to jail rather than accept the court verdict, Legge’s enemies seized the opportunity to undermine the governor’s position with the home authorities. Their methods were unprincipled, even by the standards of 18th-century politics. Legge fought back, labelling many of the assemblymen “PublicDebtors,” unsuccessfully seeking the dismissal of most of the Council, and investigating a charge, which proved false, that Butler was corresponding with American rebels. Legge was forced to leave Halifax on 12 May 1776 to try to defend himself in London. 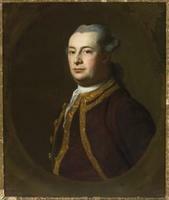 The following year Butler was fittingly described by a contemporary as the one “who calls himself lord, king, governor of Halifax.” He is believed to have left Nova Scotia about 1781, but nothing is known of his subsequent career. Conn. Hist. Soc. (Hartford), Jonathan Trumbull papers, Mauger to Trumbull, 24 Nov. 1752. Halifax County Court House (Halifax), City of Halifax allotment book (mfm. at PANS). Halifax County Court of Probate (Halifax), Book 4, p.27, no.87 (mfm. at PANS). PAC, MG 23, A1, ser.1, 13, no.2474, Mauger to Pownall, 9 Dec. 1773. PANS, MG 1, 447 (D. C. Harvey docs. ), folder 198; RG 1, 44, doc.67; 45, doc.7; 47, p.91; 136, p.255; 168, pp.349–50, 355–56, 480, 517–19; 211, 3 May 1762; 212, 3 March 1776. PRO, CO 217/26, pp.239, 271 (mfm. at PANS). St Paul’s Anglican Church (Halifax), Registers of baptisms, burials, and marriages, 29 Oct. 1753 (mfm. at PANS). Somerset Record Office (Taunton, Eng. ), Martock, Register of burials, 2 Nov. 1791. Brebner, Neutral Yankees. Allan C. Dunlop, “BUTLER, JOHN, (d. 1791),” in Dictionary of Canadian Biography, vol. 4, University of Toronto/Université Laval, 2003–, accessed April 20, 2019, http://www.biographi.ca/en/bio/butler_john_1791_4E.html.